In 1959, Antarctica was granted unique legal status when it was declared a nature reserve dedicated to peace and science. Military activity and extracting natural resources are strictly prohibited. All wildlife is protected. But what applies to the land, doesn’t necessarily apply to the sea. Unlike the rest of the world, Antarctica does not possess territorial waters (usually 12nm offshore, or 21.6km). 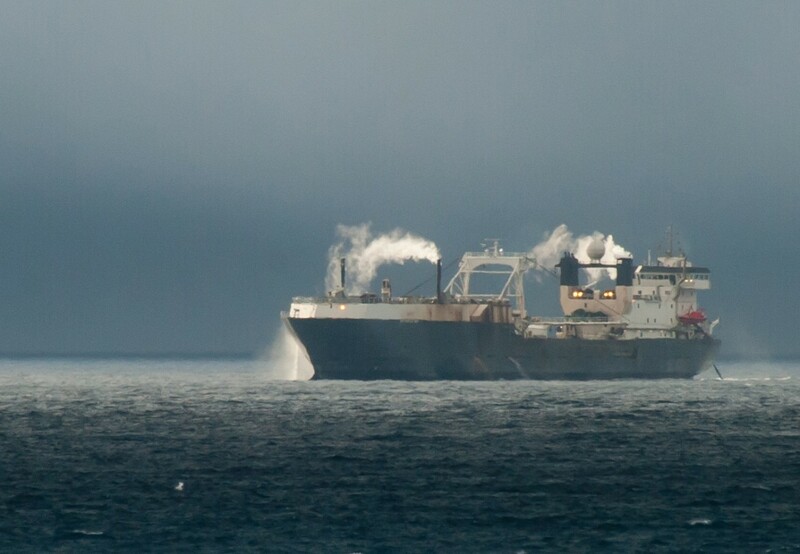 The Antarctic waters are hence considered high seas, leading to unregulated industrial fishing conducted close to the coast where protected species live and feed. In the 1970s the Russians were the first to fish for krill in Antarctica, the Japanese soon followed suit. Whales and seals weren’t the only species to benefit from the nutritious curstacean; krill was used as feed for animals such as battery chickens in the USSR. Most probably, we will never know neither the quantities these two nations fished as in those days there was no monitoring agency in place to record this data, nor the impact these catches have had on today krill population. It wasn’t until 1982 that the Commission for the Conservation of Antarctic Marine Living Resources (CCAMLR) was established. The international organisation based in Hobart, Australia, follows the recommendations prepared by the Scientific Committee of the organization, which establishes krill fishing catch limits; informally, CCAMLR has been known as the Krill Convention. Considering the growing interest in some countries for the fish rich waters of the Southern Ocean, the Commission extended its management to other species such as the Patagonian toothfish and the icefish. The CCAMLR took steps to get statistics, which up until then were sorely lacking. The Commission followed statistical areas established by the FAO (Food and Agriculture Organization of the United Nations). 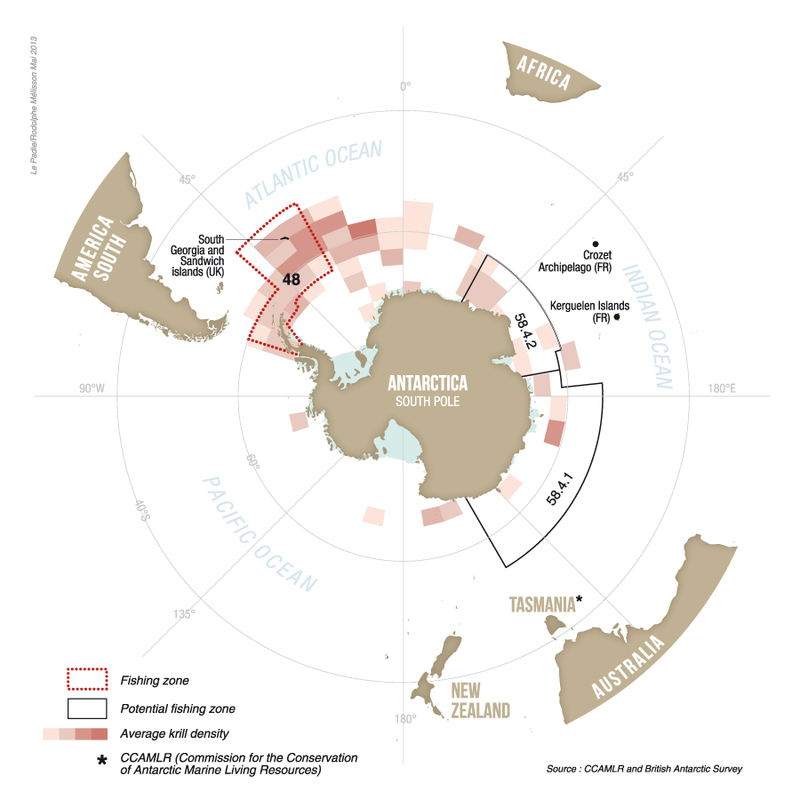 For each of these areas and subareas, the CCAMLR created catch limits and regulation. In area 48 (see map), where there is a very high concentration of krill, the maximum catch limit is set at 5.6 million tonnes. But conscious of the fishery potential, CCAMLR fixed a threshold precautionary catch limit of 620,000 tonnes. It was called the «trigger limit». 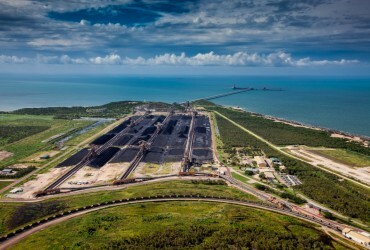 If this «trigger» is reached, then the organisation will need to proceed to allocate the 5,6 million tonnes amongst smaller areas. 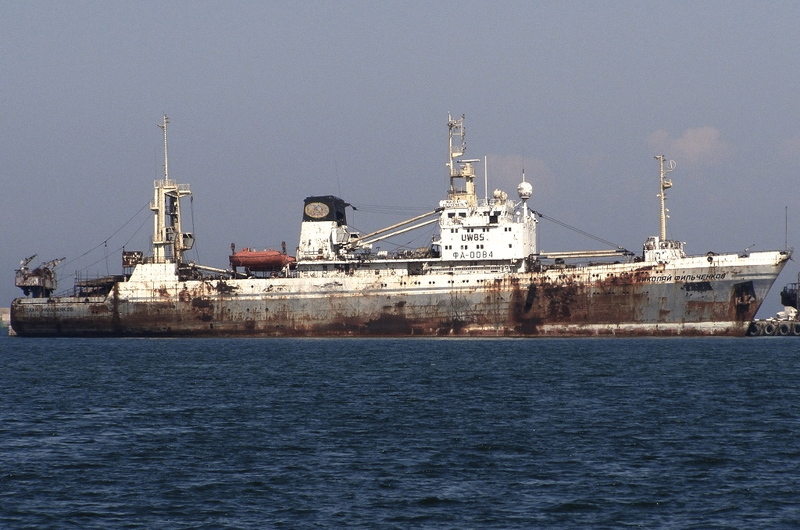 In other words, it would move the fishing boats from coastal areas to high seas areas that are currently not fished. Officially the trigger limit has never been reached. One reason why catches have not increased substantially is the fall of the Soviet Union in the early 90s. With the dissolution of the Soviet fishing fleet, which was heavily subsidized, krill fishing dropped significantly. It was not until the mid-2000s, with the emergence of innovative technologies and new economic opportunities that the industry took off again and the rush for Antarctic gold was on. 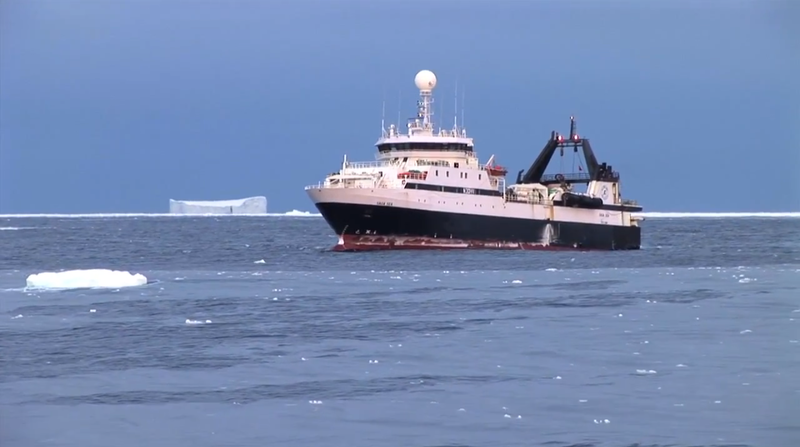 “Since 2009, the amount of krill catches declared has varied between 150 and 200,000 tonnes per year,” said Rodolfo Werner, a doctor in marine biology who is one of the world’s leading specialists of Antarctic krill conservation. 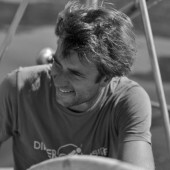 He currently consults for Pew Charitable Trusts, one of the first American NGOs to get interested in Antarctic krill. “The problem is less about the quantity because we are still a long way off the 620,000 tonnes trigger limit, but more about the geographic concentration of the fishing, which could lead to what is called a «localized depletion» of krill. Environmental conditions are very dangerous at these latitudes. The fishing boats may well measure 100m, but they still focus their efforts in areas that give shelter from the weather, along the coastline and between the islands. These areas where the fishing vessels operate overlap with the foraging areas of land based predators, such as seals and penguins. Man and animals are in direct competition for the same krill,” explained Werner. 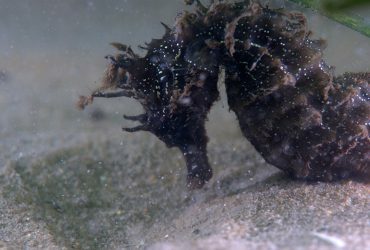 Oysters, the Arguin sandbank, the tides, many tourists visit the Arcachon bay ignoring that this unique biological maritime space hosts one of the most mysterious creatures of the sea : the seahorse. Almost extinct a decade ago, the bay is pride to have today the highest concentration of seahorses in France. What on earth is this strange sea, that doesn’t have a shoreline, and has intrigued most navigators that have sailed through its waters? Christopher Columbus was the first to cross it on his way to America. The Sargasso Sea, that stretches in the North Atlantic, is a calm, windless and waveless zone, often hard to get through. 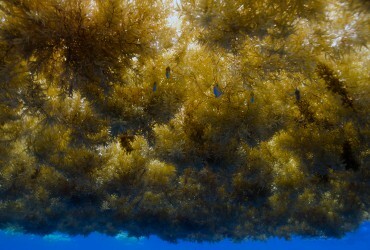 Its name comes from the floating seaweed that covers the water like a carpet. OCEAN71 takes you on a journey to discover this strange surface that has been puzzling many people through the centuries.